It’s the longest running, most-watched, and most decorated history series on TV for good reason, which is why it’s such a huge thrill to share the news that “American Experience” will be making a documentary program out of “The Race Underground.” It’s such a perfect match for audiences who love a rich, narrative tale about our country’s history. 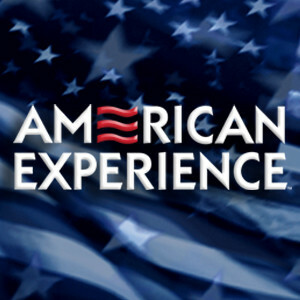 Television’s most-watched history series, American Experience has been hailed as “peerless” (Wall Street Journal), “the most consistently enriching program on television” (Chicago Tribune), and “a beacon of intelligence and purpose” (Houston Chronicle). On air and online, the series brings to life the incredible characters and epic stories that have shaped America’s past and present. Acclaimed by viewers and critics alike, American Experience documentaries have been honored with every major broadcast award, including 14 George Foster Peabody Awards, four duPont-Columbia Awards, and 30 Emmy Awards, including, most recently, Exceptional Merit in Nonfiction Filmmaking for Freedom Riders. When Mark Samels, the executive producer of “American Experience,” told me a few months ago they wanted to make my book into a documentary, I had to stop and think about it, for a solid, oh, 15 seconds. Then all it took was finalizing the contract, which is now done, thanks to my agent Lane Zachary. There are so many angles to the story that are both visually arresting and dramatic in nature, from Alfred Beach’s secret subway to the story of the Whitney brothers to the Blizzard of 1888 to a critical experiment in Richmond, Virginia, to the inaugural ride on America’s first subway under the streets of Boston on September 1, 1897, to New York’s subway debut seven years later, in 1904. I have no idea how this project will unfold on screen yet, but I do know it will be an adventure for me, too. Way back when we were finalizing the cover of the book, I was fortunate enough to get a copy to the documentary filmmaker Ken Burns, who has enjoyed a long relationship with WGBH. He “blurbed” my book with some powerful words: Our subways are the vital lifelines of our greatest cities. They are also symbols of our indebtedness to earlier generations who through innovation and perseverance took us from horse-powered transportation to subterranean rail. Doug Most’s The Race Underground is a fascinating account of how New York and Boston tunneled their way into the future. This book proves again that American history is a treasure trove of great stories, this one filled with drama, sacrifice, loss and unimaginable success. I’m thrilled that at least some of the story will now be told in a different format, on screen, and I’ll share more details as I learn them. As always, thanks for everyone’s support through this! It’s made it all the more worthwhile. (BOSTON, MA) JANUARY 30, 2015 — American Experience announced today that it has optioned the documentary rights to Doug Most’s acclaimed non-fiction book The Race Underground: Boston, New York, and the Incredible Rivalry that Built America’s First Subway. Published by St. Martin’s Press in February 2014, The Race Underground was called “a sweeping narrative of late 19th-century intrigue,” by Sam Roberts in The New York Times, and “a story of blizzards and fires, gas explosions and dynamite blasts, of trenches torturously dug, of sewer and water pipes rerouted and cemeteries excavated, of political infighting, of turnstiles and ticket-taking, of ingenious solutions to staggering problems” byKirkus Reviews, which also selected it as a Best Non-Fiction Book of 2014. Available in trade paperback edition in February 2015, The Race Underground features some of the most famous men of the age, including William Steinway, Boss Tweed, and Thomas Edison, and tells the story of how two great rival cities—spurred on by two rival brothers—battled through dirty politics, solved engineering challenges, and ultimately built America’s first two subways, epic projects completed just a few years apart. Doug Most is the deputy managing editor for special sections at The Boston Globe. Prior to his current position, he was the Globe’s features editor and Sunday magazine editor, and before that, a senior editor at Boston magazine. He started his career as a reporter for theRock Hill, SC Herald, and later worked for the Daily Record in Morristown, NJ, and The Record in Hackensack, NJ. While working at The Record, he covered a crime case involving two suburban teenagers which ultimately became his first book: Always in Our Hearts: The Story of Amy Grossberg, Brian Peterson, the Pregnancy They Hid, and the Baby They Killed. Most, who has written for a number of national magazines, had two features chosen for Best American Crime Writing, and a feature he wrote for Sports Illustrated appeared inThe Best American Sports Writing anthology. St. Martin’s Press is a part of Macmillan Publishers, a global trade book publishing company with prominent imprints around the world. Macmillan publishes a broad range of award-winning books for children and adults in all categories and formats. U.S. publishers include Farrar, Straus and Giroux, Flatiron Books, Henry Holt & Company, Macmillan Audio, Macmillan Children’s Publishing Group, Picador, St. Martin’s Press, and Tor Books. In the U.K.,Australia, India, and South Africa, Macmillan publishes under the Pan Macmillan name. The German company, Holtzbrinck Deutsche Buchverlage, includes among its imprints, S. Fischer, Kiepenheuer and Witsch, Rowohlt, and Droemer Knaur. Fantastic news! Doug, what a great outcome for your book. Rock on.